A southern Piedmont county, Union was formed by the General Assembly in 1842, and its name resulted from a compromise between North Carolina Democrats and Whigs. With the long contention that President Andrew Jackson was born in the area, Democrats wanted Jackson as the county’s name. Whigs, with hopes to name the county after Henry Clay, opposed the Democrats. After several debates, both parties compromised and chose “Union” as the county name. Union County’s southern border is also part of North and South Carolina border, and Mecklenburg, Cabarrus, Stanly, and Anson counties surround the county within North Carolina. The county seat Monroe, named in honor of President James Monroe, was incorporated two years after the county’s founding in 1844. Weddington, Fairview, Stallings, New Salem, Marvin, Indian Trail, Wingate, and Lake Park are other communities and towns within the county. Some physical and natural characteristics of Union include Lake Twiddy, Lee Branch, the Rocky River, and the Richardson and Beaverdam Creeks. Not only is Union home to a Baptist university, but the county also contains several historic sites and cultural centers. In the late 1800s the citizens of Union were worried about the close of schools across the county, and in the late 1870s the Brown Creek Union Baptist Association held a meeting to discuss the problem. By 1895, the Association agreed on establishing a school dedicated to higher learning and the Baptist tradition. Ten acres of land was donated for that purpose, and Wingate School was opened in 1896. Today, Wingate University is still associated with the North Carolina Baptist State Convention. It offers nearly thirty-five majors and approximately 1,600 students attend the school annually. In addition to Wingate, Union is home to several historical sites including the North Corner Boundary Stone (1818), the Old Union Courthouse (1886), and the Confederate Memorial (1910). Numerous cultural and academic institutions are within the region as well. The Union County Heritage Room, the Rainbow Theatre, and the Waxhaw Historical Festival and Drama Association remain prime culture centers in Union. Furthermore, the Jesse Helms Center, named in honor of Monroe’s son and U.S. Senator Jesse Helms, continues to serve as a free enterprise and conservative educational institute. The Waxhaw and Catawba were the first natives to inhabit the region of present-day Union County. John Lawson, Surveyor-General of North Carolina, visited modern-day Union during the early 1700s, and he came in contact with the Waxhaw tribe. Lawson noted the intricacies of the Waxhaw, reveling at how mothers would flatten the heads of infants to separate their eyes more fully. In addition, Lawson described the marriage culture of the Waxhaw as relaxed and even communal at times. Young Indian girls who had the most sexual partners before marriage were usually the most sought after by the men of the tribe, and some men even lent their wives to interested neighbors. The Waxhaw’s religious doctrines included a belief in a world-wide flood, life after death, and eternal reward or retribution for actions done while on the earth. In the 1740s most of the Waxhaw, however, had died due to a smallpox plague, and the remnant assimilated with the Catawba. The first known Europeans to immigrate to Union were German, Scotch-Irish, English, and Welsh settlers. 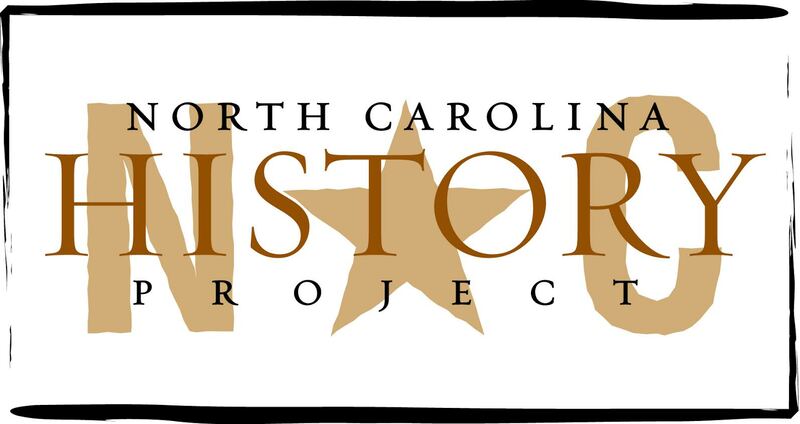 Several key figures in North Carolina history were born or resided in Union County at some point. The most notable claim is that of Andrew Jackson’s birthplace. Some historians believe that Jackson, the seventh president of the nation, was born in his family’s log cabin at Ligget’s Branch, near the Twelve Mile Creek. On March 15, 1767, Jackson was born, but it is unclear whether his mother, Elizabeth Jackson, had traveled to her relative’s house in South Carolina to give birth or if she remained at the family cabin in North Carolina. Andrew Jackson himself believed that he was born in South Carolina, and it was only fifteen years after his death that North Carolina historians began to argue their claim that the seventh president was a North Carolina citizen. The states both claim to be the birthplace of Andrew Jackson. William R. Davie, a colonel during the Revolutionary War and subsequent governor of the state, and Samuel L. Parker, a soldier who received the Congressional Medal of Honor for his bravery during World War I, were also born in Union County. “Wingate University.” North Carolina Highway Historical Marker Program website. A Division of the North Carolina Department of Cultural Resources. http://www.ncmarkers.com/Results.aspx?k=Search&ct=btn (accessed August 24, 2011). “Union County.” William S. Powell, ed. Encyclopedia of North Carolina (University of North Carolina Press: Chapel Hill, NC 2006). History of Union County. H. Nelson Walden. (Heritage Printers, Inc: Charlotte, NC 1964).